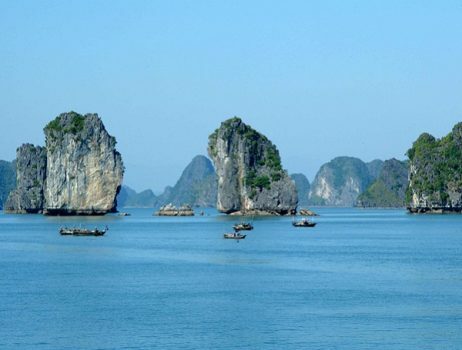 Travelling to Halong Bay, visitors are impressed by not only nature beauty of Halong Bay but also Cha Muc Halong – the best famous and delicious cuisine ever. Sometimes, you want to taste Cha Muc but you can’t get Halong Bay or you can’t wait until getting a trip to there soon, what should you do? Why don’t you try to make Cha Muc Halong by yourself then enjoying this specialty with your friends and relatives? Let’s make Cha Muc – the specialty of Halong and taste it when you like. 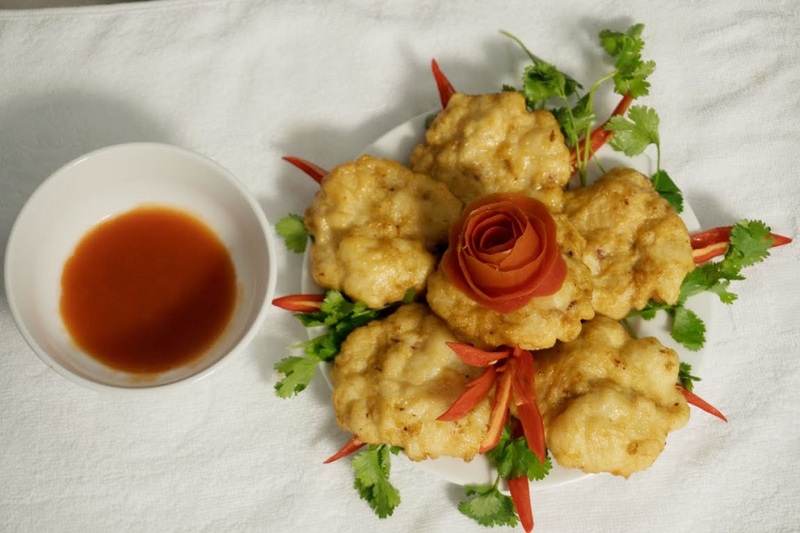 I would love to show you how to make Halong delicious squid patties – Cha Muc Halong below. In order to make Cha Muc, you need to prepare some ingredients such as fresh cuttlefish, pork, peeled shrimp and fillet fish if you like. You should also add some fry onions, garlic, fish sauce and pepper. First of all, choosing fresh squid is the most important step of making Cha Muc, this step will directly affect to quality of your Cha Muc Halong cuisine. It is when you touch into beards of squids, the beards cling tightly to your hands; squid skin should be iridescent as stalactites. You need about 100 grams of lard or hams. 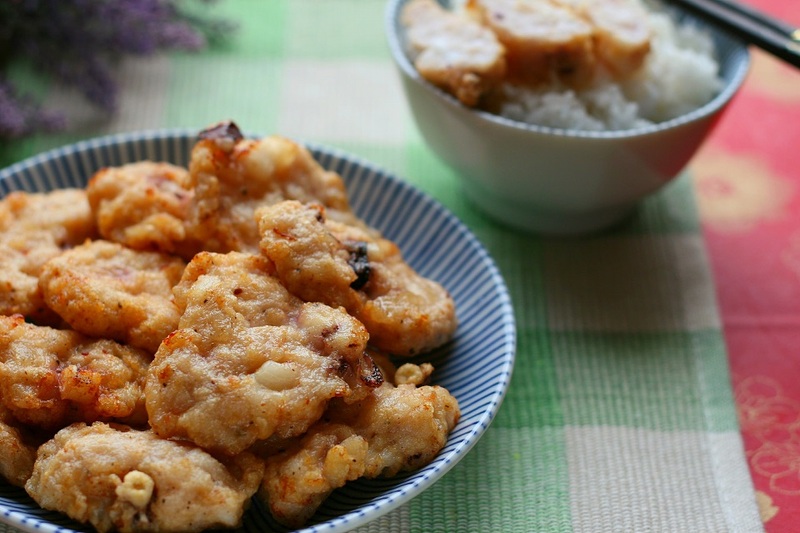 You can add 100 grams of peeled shrimp and 100 grams of fillet fish. About spices, 3 dry onions, 3 garlics, 30 milliliters of fish sauce, one full-tablespoon of ground pepper and a little dill are necessary. Typically, gourmets don’t like add dill into Cha Muc cuisine or they will add just a little of dill to keep original flavor of Cha Muc. You can go to the step 2 after you have enough ingredients to make Cha Muc. Get rid of ink-bag, skin and viscera of squids. Drain squid after processing squids primarily. Put eyes of squids into a private place. 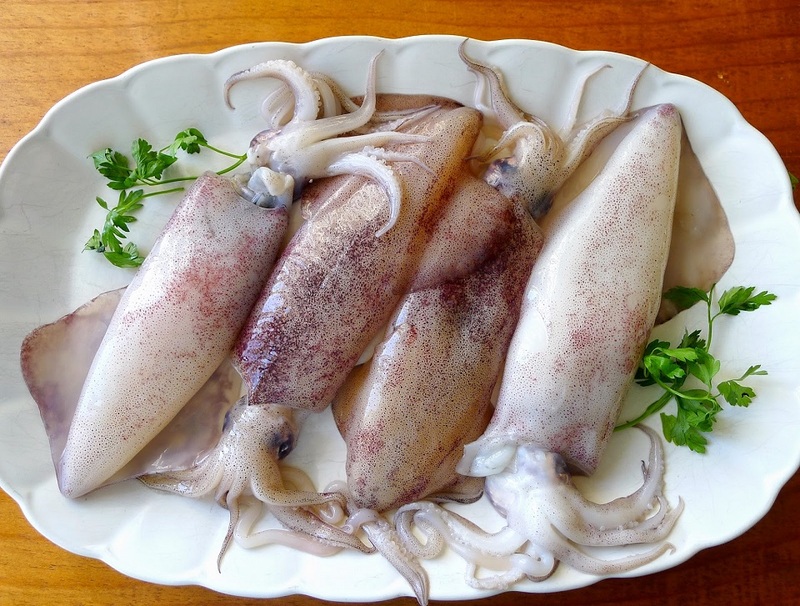 Cut squid bodies into small pieces with the thickness about 1.5 centimeters and length between 5 to 7 centimeters. Chop garlic, cut dill into small and short segments, add fish sauce into squid and marinate this mixture in 30 minutes. Put this mixture in a cool place. Besides choosing fresh ingredients, the quality and taste of Cha Muc Halong depend on the secret of pounding squids by hand. You can choose blender to crush squids, however, its taste will less delicious than Cha Muc pounded by hand. Pound it with stone mortar little by little. Put eyes, whiskers and fins of squids into pounded squids and mix this mixture totally to keep Cha Muc crispy. 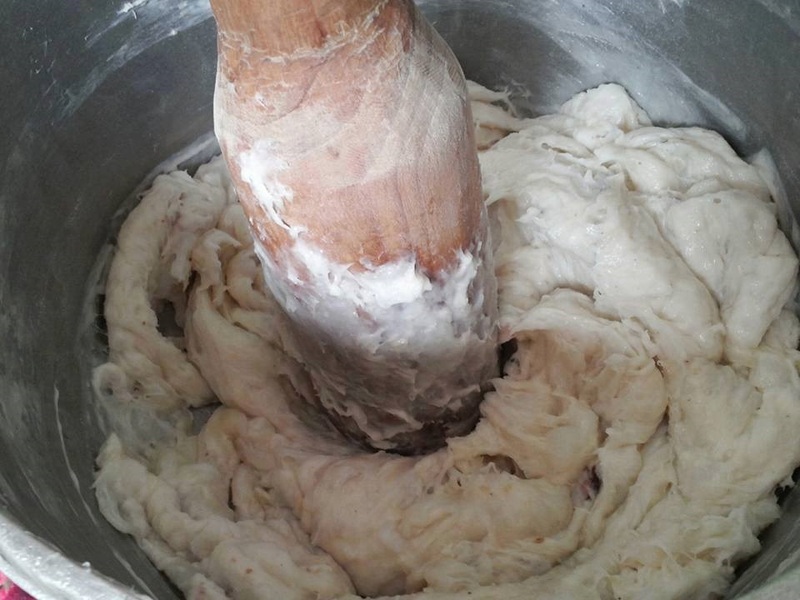 After finishing crushing squids and enclosed ingredients, you can start to make squid patties. Wear nylon gloves to ensure of Food Hygiene. Drop some oil onto the face of glove and then create the shapes for squid patties. Typically, people create circle squid patties with the thickness of 1 centimeter and the diameter from 3 to 4 centimeters. At the same time turn on the gas stove, boil about 0.5 liter of oil on a pan. You should use the pan that is deep in the middle. Put circle squid patties onto the pan. When putting patties into the pan, oil will be seething. The patties will be dropped into the bottom of the pan at first; then you will see pieces of Cha Muc floating on the face of oiling pan. Flip 2 faces of patties so that patties will gradually turn into yellow. Take pieces of Cha Muc from the pan, display on the dish and taste it. If you make Cha Muc in bulk and want to eat for several days, you can store it in the refrigerator. After shaping, you just need to fry Cha Muc thoroughly, put it into closed boxes and store in the fridge. When you eat, you just need to take it from fridge and fry in the pan. Now you know how to make Cha Muc Halong, you can make and enjoy this specialty whenever you like. You can eat Cha Muc with sticky rice. Cha Muc can be served with chili sauce or fish sauce; it depends on your hobby. You will be satisfied with your upshot. In fact, Cha Muc is a popular cuisine especially in coastal provinces of Vietnam. However, the best Cha Muc taste is in Halong. 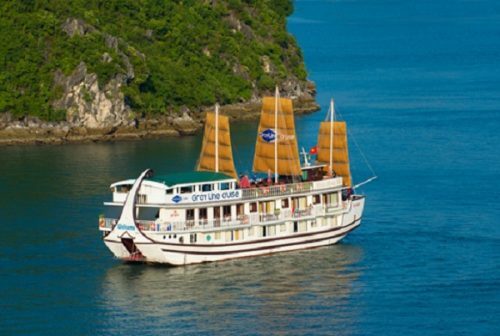 Travelling to Halong Bay, the first specialty that visitors want to taste is Cha Muc Halong which has the most unique taste. It is said to be the secret formula of residents and chefs there with available fresh squids. Anyway, let you try to imagine that how happy you will be if you have chance of making Cha Muc and taste this specialty with your relatives and friends. On the special occasions, you can enter the kitchen, make this specialty and share happiness with everyone.